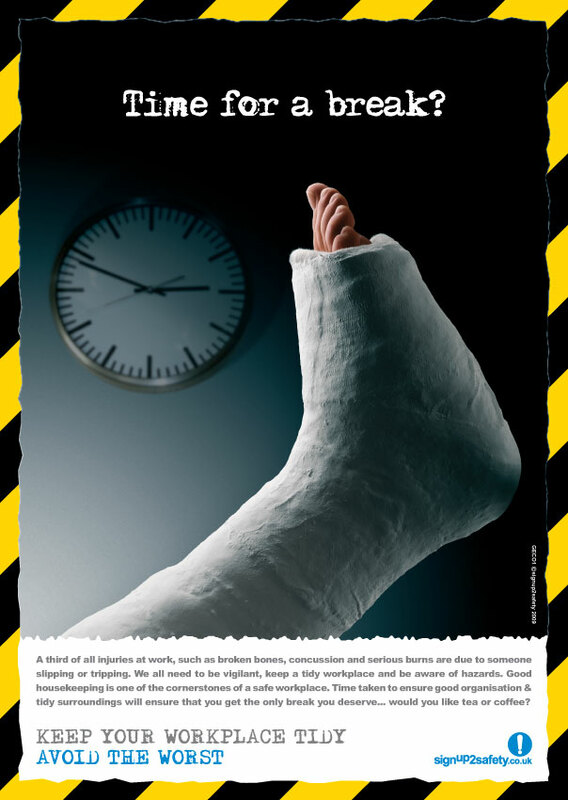 A third of all injuries at work, such as broken bones, concussion and serious burns are due to someone slipping or tripping. We all need to be vigilant, keep a tidy workplace and be aware of hazards. Good housekeeping is one of the cornerstones of a safe workplace. Time taken to ensure good organisation &amp; tidy surroundings will ensure that you get the only break you deserve… would you like tea or coffee?